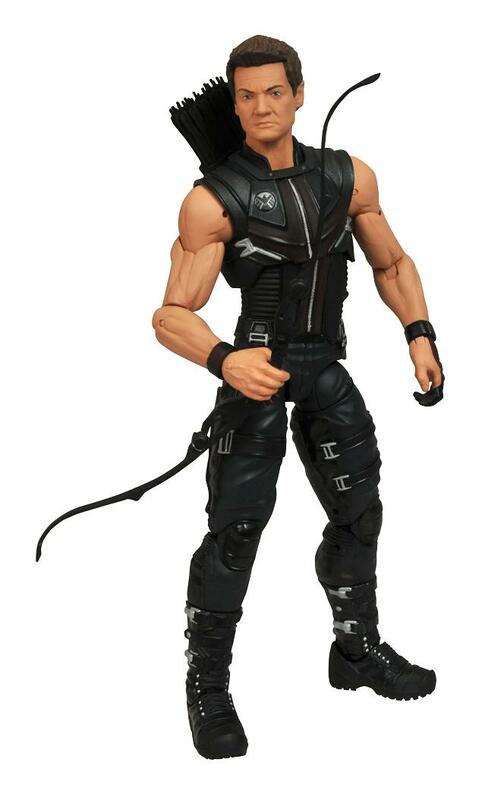 Hawkeye is the next Marvel Select figure! And the Marvel Select updates just keep coming folks… Diamond Select Toys has announced their next Marvel Select action figure for 2012, from the upcoming Marvel blockbuster movie The Avengers, Hawkeye! DST has already released the movie versions of Captain America and Thor, now you will be able to add Hawkeye (Jeremy Renner) to your collection too. 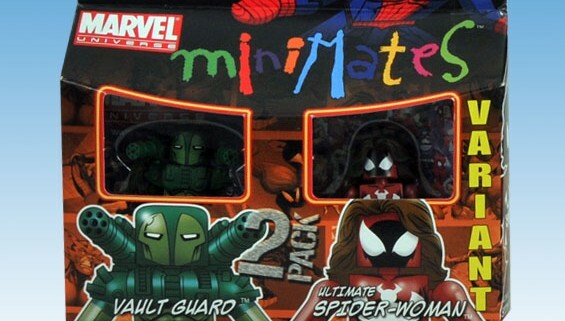 We will also be getting movie versions of the Hulk and Iron Man from them as well. Stay tuned for news about those two soon. The Avengers movie is almost upon us, and Diamond Select Toys is building up the team in their Marvel Select action figure line! First up is the Avengers’ newest recruit and the world’s greatest marksman, Hawkeye! 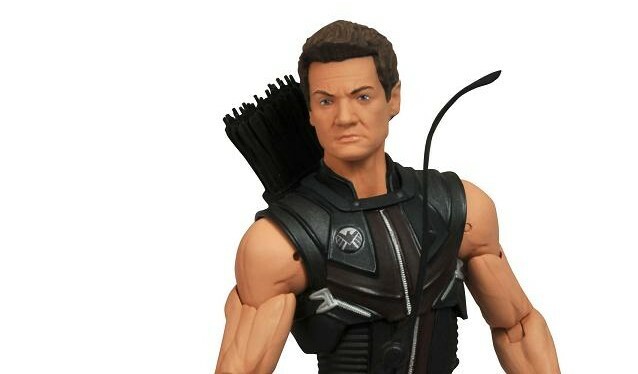 Based on the likeness of actor Jeremy Renner, this 7-inch-scale Marvel Select figure comes with his trademark bow and arrows, and will look perfect alongside your other Select Avengers. Plus, he features 16 points of articulation, for a variety of action poses! Not shown is Hawkeye’s detailed display base — it combines with the base of our mystery movie villain figure to create a scene from the movie, and everything comes in oversized collector packaging, so you can show off the figure without opening it. But Hawkeye is only available on the specialty market, so pre-order him today through your local comic shop or favorite online retailer, and expect him to hit stores sometime in May. Avengers Movie Hulk and the movie’s mystery villain are also available for pre-order now, and Thor, Loki, WWII Captain America and the Red Skull are in stores now! Info about Avengers Movie Iron Man coming soon!